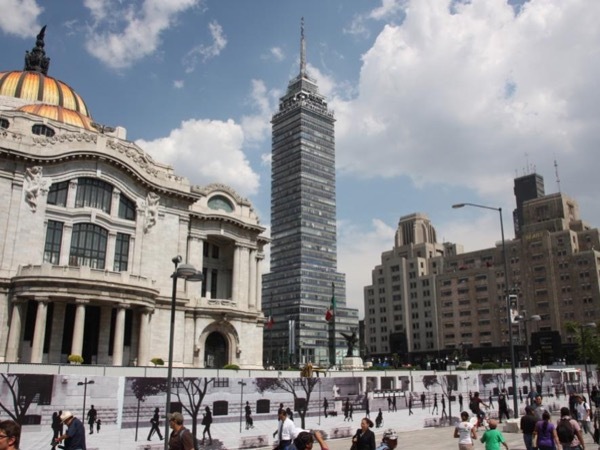 Traveler Reviews for Private Tour in Mexico City, Distrito Federal, Mexico by Tour Guide Jonas V.
Had a fantastic day with Jonas exploring beautiful, colourful Mexico City and Teotihuacán! His love for his city is inspiring, and there wasn't a question he couldn't answer. He also recommended the most awesome street food! A wonderful experience with a knowledgeable, passionate local guide! An amazing amount seen and learned during a long layover, which would otherwise have been miserable. Jonas was such a casual wealth of knowledge and the historic center of Mexico City on a saturday evening was fantastic. Absolutely loved it! Jonas was a great guide. He picked us up from the airport and returned us. We are so grateful for the time we had in Mexico City. His extensive knowledge on the area, people, local markets, history, architecture etc is brilliant! Thank you Jonas! TOUR GUIDE RESPONSE: And thanks to you too. I'm glad you were happy with the piece of Mexico I could show you doing our half day. Dear Jonas, I want to send you good wishes and thanks for taking such good care of my group of docents in Mexico City and beyond. Everyone spoke highly of you and everything that you made possible for them. Your calm demeanor and understanding of the history of the sights were a real bonus for this group of travelers from the Fine Arts Museum of San Francisco. You were easy for me to work with and I look forward to planning more tours with Tours by Locals. Many thanks for everything you did to my group! Jonas was amazing. I had a 5 hour tour of Mexico City with him on a short layover and he showed me everything I wanted and more.I wa able to get the low down of the city from a local's perspective He is quite educated and knowledgeable about the archeology of Mexico and after spending a week in the Mayan ruins of Chiapas-it was an amazing treat to be taken to the inspiring Mayan exhibit at the National Palace where he expertly guided me through the maze of artifacts. Jonas is a thinking person's guide. TOUR GUIDE RESPONSE: Wow Jim, thanks for your flattering words. Hope to see you soon for a longer visit! TOUR GUIDE RESPONSE: Thanks Regine, hope you enjoyed the rest of your Mexico trip. Jonas was very personable and knowledgeable. Made the tour very interesting. Would love to have him as a guide at any time. Highly recommend him. TOUR GUIDE RESPONSE: Thanks Johnna, it was a pleasure to spend some time with you and share my passion for this city; hope to see you again on one of your future visits in Mexico! Jonas was the best guide. Thank you for having me and my grand daughter enjoy in 5 hours the most of DF. Thank you Jonas for the wonderful time. TOUR GUIDE RESPONSE: Thanks Ileana, glad you enjoyed although you arrived very tired. See you next time to explore some more wonderful parts of Mexico City! Jonas is a wonderful guide! He picked me up really early in the morning at the airport and I automatically felt safe. He showed me as much as able to in Mexico City, on and off the tourist path! He then took me to the pyramids and I got to climb all three of them! And made it in time for my flight. 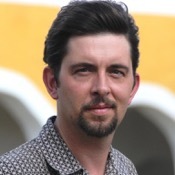 I want to say Jonas is very passionate about Mexico City and very knowledgeable! I learned so much with him! He took away my misconceptions of the city. If you are a solo female traveler, you can trust him. TOUR GUIDE RESPONSE: Hi Reima, so nice you fell in love with Mexico City! All the best on the second part of your trip in Bolivia!